Metal Blade Records is proud to announce the worldwide signing of Jim Breuer and the Regulators, Jim Breuer’s new hard rock/metal group. As a lifelong hard rock/metal fan, Breuer has often incorporated loud music into his comedy stand-up, so it seemed only natural for him to take the next step and start his own band. 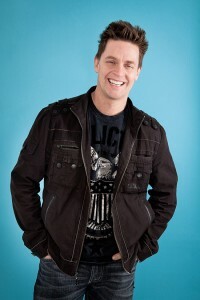 Over the past few years, the Jim Breuer band has performed at premier festivals such as Rock on The Range (with Guns N Roses and Avenged Sevenfold), the Motorboat cruise (with Motorhead and Megadeth), Metallica’s Orion Music Festival, Sonisphere in the UK (with Metallica, Megadeth, Slayer, and Anthrax), and the headlining stage at Wacken in Germany. 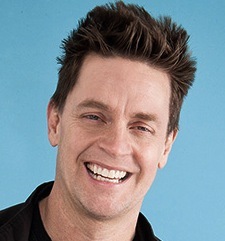 Now, under a new moniker (Jim Breuer and the Regulators), the group plans to release their debut in Spring 2016, with various special guests appearing on the record. Complete details about the album will be revealed soon, but in the meantime, fans can tune into Breuer’s The Metal in Me podcast for additional news and information. The first three episodes are already online with more to be added each week, about finding the comedy, reality, and metal in us all – the perfect mix in life. See below for all upcoming comedy tour dates, and stay tuned for more news about Jim Breuer and the Regulators coming soon.